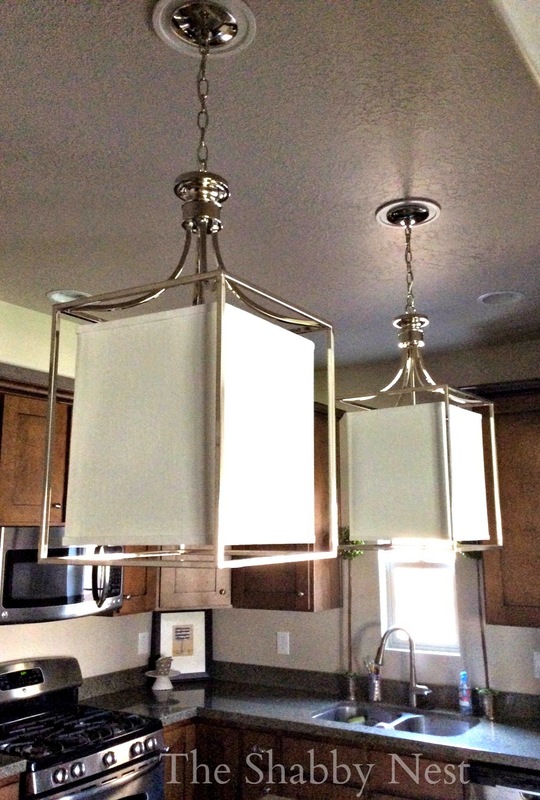 Today I'm teaming up with Shades of Light to make a big change in my kitchen! 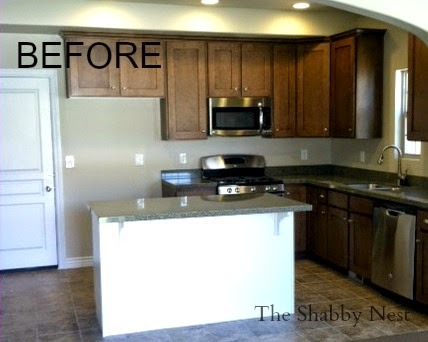 I'm so excited to share this change I made to the kitchen of the Hydeaway Cottage! It makes a HUGE difference and wasn't hard at all. 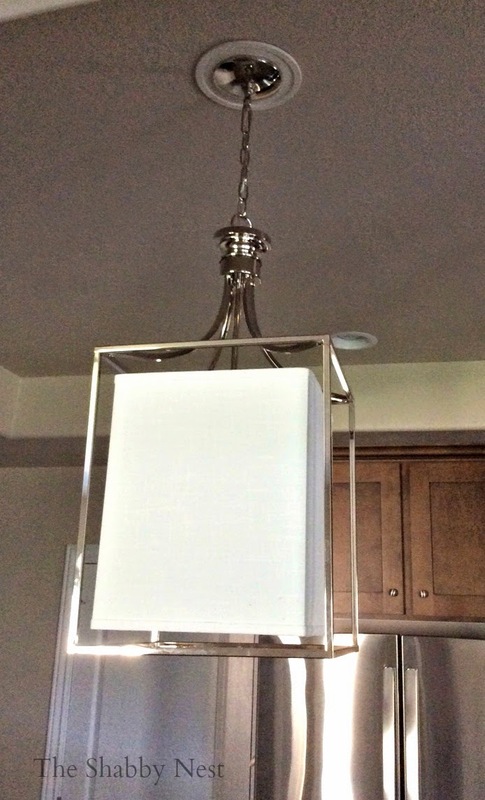 The great thing about adding pendant lights where you already have can lights (and I just happened to have two positioned perfectly above the kitchen island) is that you can buy converter kits at your local Home Depot (or Lowe's or other big box home improvement store). I admit that I know nothing about electrical wiring etc., so I had a friend come and do it for me. But it really didn't take long. Once the converter kit is installed, you simply wire the lighting in just as you would any other lighting. You can see from the photo below, that the converter kit becomes a sort of rosette under the light. They are paint-able if you have a ceiling that is a color other than white, but the white worked perfectly for me. And here is the pretty finished product! 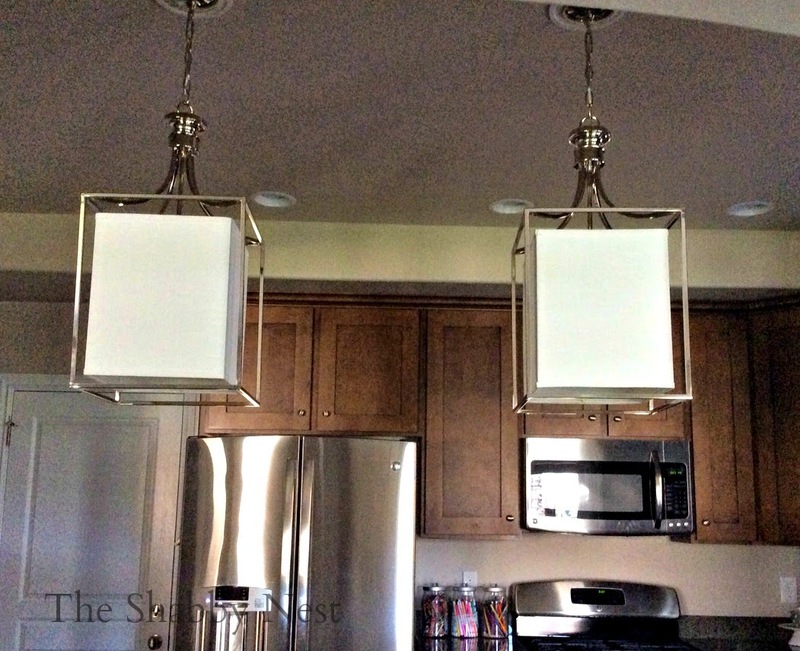 These gorgeous pendant lights are the Springfield Pendants from Shades of Light. A huge THANK YOU goes out to Shades of Light for providing these beauties for me. 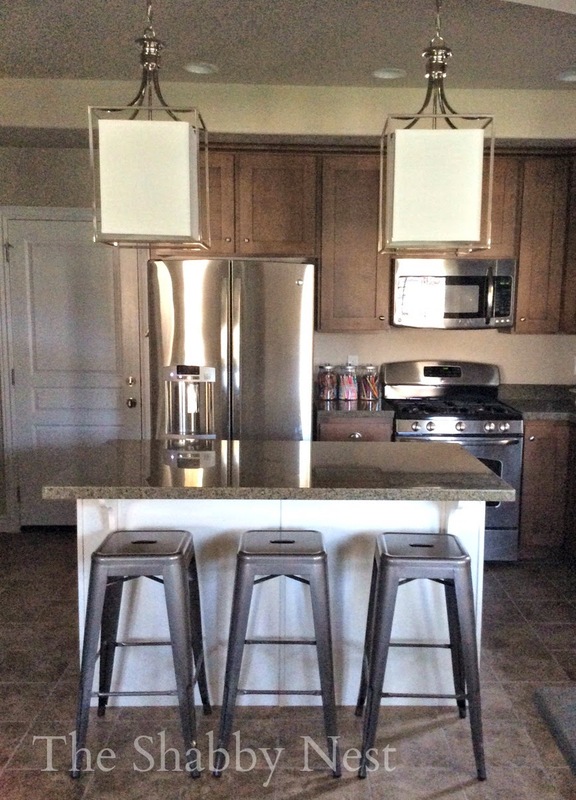 The addition of the pendants helps make the kitchen less builder grade and more custom looking and I love that! I've added other custom lighting to my dining area and entry, and I'm waiting on a fixture for my master bedroom. Each light has simply transformed the space and I can't wait to share them with you. Loving the way the house is coming together! Hope you're enjoying following along on this adventure of creating our Hydeaway Cottage! The lighting was provided to me at no charge by Shades of Light. The opinions expressed about Shades of Light and the Springfield pendant lights in this post are 100% mine. I love Shade of Light!